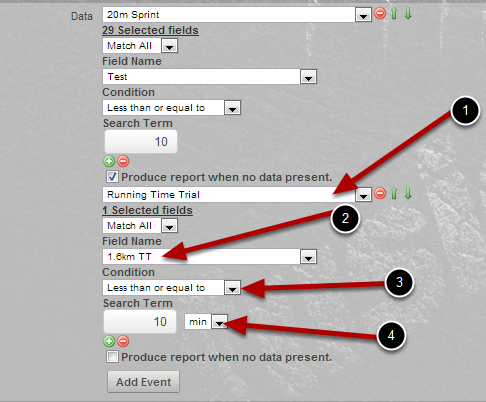 #1: Choose the field that you want to set up the filter for (all fields for that Event Form will appear to choose from). The example shows that Test is the event field being used for the filter. These filter parameters are set up so that we will ONLY include the Test data that is less than or equal to 10 in the Excel Report for this Event Form. N.B. You can set up multiple filters for the same Event Form. Just make sure you use the Match ALL and Match ANY correctly. 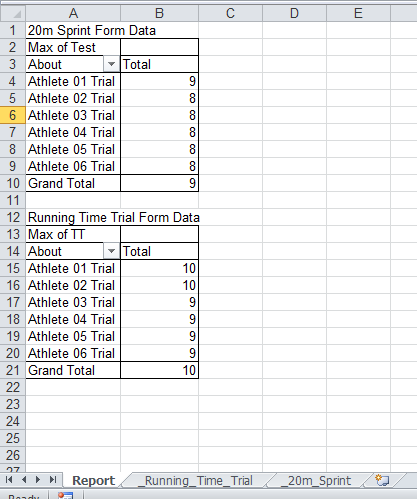 #1: We have chosen the Event Form "Running Time Trial"
#2: We set up a filter for the field "TT"
#3: The condition is "less than or equal to"
For this data type we will pull through the data that is less than or equal to 10 for the field TT. 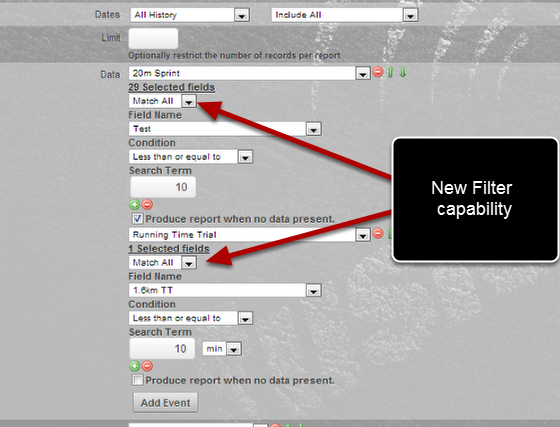 You can add in filters to new reports or you can edit and update your existing reports.